Welcome to My 11 KOTR – The Otter, the local affiliate station for MyNetwork TV in the Central Coast region of California. On channel 11 throughout the majority of the Greater Central Coast market area for Comcast and U-Verse and on channel 187 in Santa Cruz on Comcast Cable. 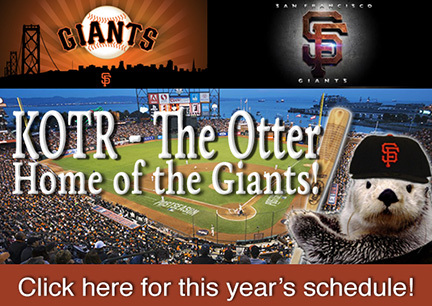 KOTR – The Otter – serves Monterey, Salinas, Carmel, Pacific Grove, Castroville, Gonzalez, Soledad, Santa Cruz, and more! The Greater Monterey/Salinas television market is ranked #125 and is one of California’s most diverse areas of the country. Originally the groundbreaking brain child of Rupert Murdoch, MyNetwork Television is continuing its popular prime time shows, including the Fall’s best new lineup in its History: Law & Order: CI, Chicago PD, Dateline, The Good Wife, CSI: Miami. This year will be another banner year for KOTR – more great shows, more viewers, and more sports and comedy. In addition, KOTR is now the home of TMZ and TMZ Weekend, Two and a Half Men, Celebrity Page, Judge Mathis, Supreme Justice, Funny You Should Ask, as well as for most San Francisco Giants Home Games, Maury, and many others. KOTR has some of the most popular syndicated programming in the Central Coast and something for every member of the family. MyNet TV – It’s got America’s favorite programming. It’s My11 KOTR for the Central Coast! The Otter’s got it!